I'm still gradually working away on a theory to explain how a massive planet whose gravitational effects are evidently distorting the fabric of the outer solar system might have evaded direct detection, despite all efforts to hunt down and observe Planet X. Regular readers of this blog will recall my interest in shrouds of dust encircling planetary objects located beyond the confines of the heliosphere. My argument is that the action of the solar wind, as well as well known drag effects associated with it, serve to largely clear out the Sun's domain of dust, which extends out to more than 80 astronomical units (1). Some interplanetary dust (known as 'zodiacal dust') is constantly being renewed through collision activity in the solar system between comets, asteroids and planets. But, largely, the Sun's greater magnetic environment is swept clean. Beyond that zone, the existence of planetary bodies is uncertain (the Sun's influence extends out to about 1 light year, so this is a massive zone of interest). Also, the nature of that interstellar environment is based more upon theory than observation, because (a) we have yet to send productive probes beyond the heliopause, and (b) the reflected light from the zodiacal dust encircling us within the heliosphere blinds us to the exponentially more subtle reflected light from any interstellar dust which might lie beyond (2). Earlier this year I hypothesised that the variability of dust and gas density in the interstellar medium (experienced as the Sun travels through different galactic environments) might enable intermittent dust accumulations and accretions around the gravitational fields of undiscovered planets beyond the heliosphere (3). Such planets might thus act as catalysts for further planetessimal formation within disks forming around them. These disks might then act as nebula-like cloaks, shielding planets beyond the heliopause from our gaze. All well and go, you might say, but where is the proof of this? To proceed with this hypothesis in any kind of meaningful way I need to provide a mechanism by which such dust clouds and disks might accrete around distant planets located beyond the Sun's solar wind. We know, of course, that protoplanetary disks form around nascent stars. The dust and gas contained within these vast clouds whirl and spiral as the disk rotates, creating eddies, then clumps, which then accrete into protoplanets. But that's around substantial objects like stars, whose own monumental turbulence may strongly influence this process. Could such an effect also occur around planets quietly bobbing around in interstellar space? Like Planet X (or Planet Nine, as Caltech astronomers have dubbed it (4)). Given that it's hard enough to watch what's going on around fully lit protoplanetary disks, it's impossible to observe any accretion activity around dark objects located at least three times further away than Neptune (i.e. in interstellar space beyond the heliopause). Such a consideration could only be hypothetical, based upon complex computer simulations. "For the first time, the resolution of these simulations was sufficient to infer the formation of high-density clumps within the gravitationally unstable disk. Once formed, these clumps start to migrate through the disk and finally sink into the central star. "Like throwing logs into a fireplace, these episodes of clump consumption produce violent luminosity outbursts outshining the collective effect of one hundred thousand Suns," says Eduard Vorobyov. If the team is correct, then there are universal principles involved here. 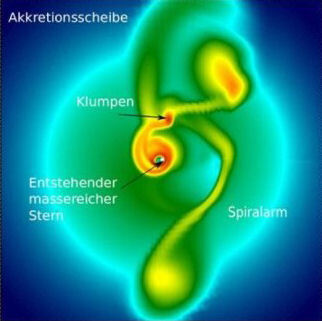 No matter what the size of the forming star, the same kinds of mechanisms are going on. Which leads me to suggest the following. Might this also be true in dwarf star formation? Going further still, might this principle apply to the formation of planets in interstellar space, themselves formed from tiny nebulae? 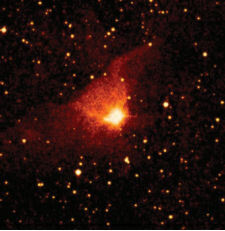 This dumping of material from associated nebulae into protoplanetary disks associated with sub-stellar object formation may then provide an answer as to how interstellar planets might accumulate clouds of gas and dust around them in the first place, derived from the rivers of interstellar medium constantly cascading past them. Over billions of years, this gradually 'silting' process could drive the growth of planets located in interstellar space, in a way that planets contained within the heliosphere of a star are simply not exposed to. Out there in the dark, those dusty nebulae might also provide the cloak which hides such phenomena from sight. 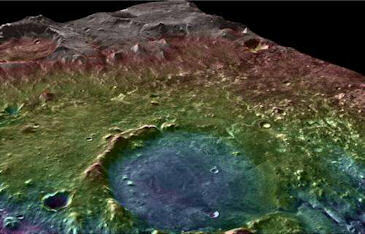 Habitable Alien Environments Deep in the Earth, and on Mars? Life finds a way. That's the gist of the growing scientific consensus that life can emerge in the most extreme habitats. In the current scientific consensus, alien life close to home can only take the form of tiny microbes. Anything bigger is right out. So, inevitably, scientist get quite excited about the possibility of tiny extremeophiles, whether it be under the surface of Mars, in the oceans of the Galilean moons of Jupiter, maybe Saturn's moon Enceladus...anywhere that might harbour liquid water. No matter that Europa might play host to an entire ecosystem in the warm oceans under its ice sheets. Let's just stick to microbes for the time being. In that spirit, mine shafts dipping into ancient waters far below the surface of the Earth have provided access to environments which, against all the odds, also seem to contain life (1). These environments are not only highly hostile to life (one would have thought), but they are sufficiently isolated to imply independent evolution. These kinds of environments provide warmth, liquid water, and a natural turnover of chemical nutrients which can feed the extremeophiles. But the paucity of these nutrients means that the underground organisms have a ponderously slow lifecycle, effectively logging off for huge periods of time between courses (2). The incredible depths plumbed by the Earth's water is surpassing everyone's expectations. It now appears that immense quantities of water may exist in the Earth's deep mantle, perhaps as far down as 1000km (3), or a third of the way down to the core! The presence of this aqueous ingredient may help explain the mechanism of terrestrial plate tectonics. 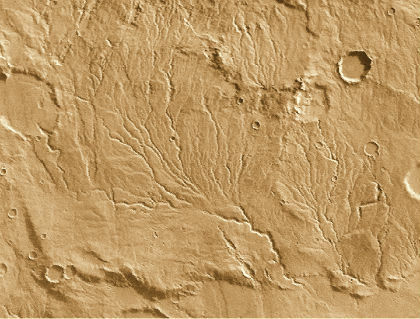 This primordial terrestrial water finds a parallel on the Moon, where water in the dust-cake mix has been linked with the Moon's creation from the early Earth (4). Water seems to have been a prime ingredient in the Earth/Moon system, contrary to earlier models which considered it more probable that volatile water would have been driven off by the action of the early Sun. Not so, it seems, which raises more questions than it answers. it's almost as if the Earth/Moon system started life further away from the Sun than the position at which it currently resides, reflecting the radical theories of Zecharia Sitchin (5). After all, the Earth does seem to share similar compositional properties with asteroids located in the outer sections of the asteroid belt. "The Utopia [Planitia] deposit is shielded from the atmosphere by a soil covering estimated to be about 3 to 33 feet (1 to 10 meters) thick. 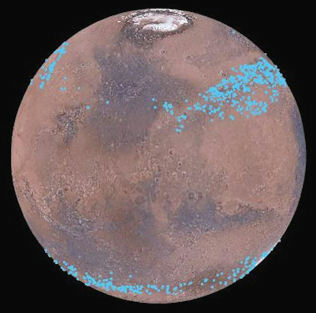 "This deposit probably formed as snowfall accumulating into an ice sheet mixed with dust during a period in Mars history when the planet's axis was more tilted than it is today," said Cassie Stuurman of the Institute for Geophysics at the University of Texas, Austin. She is the lead author of a report in the journal Geophysical Research Letters. These 'ice lakes' could well go through long periods of liquidity. Mars is in one of its long Ice Ages, although beyond the corridors of the departments of planetary science this does not appear to be widely appreciated. I'm not sure why. As the earth's rich diversity extends into the depths, so might Mars harbour similarly habitable environments below the ice and rock. It seems likely to me that 'zombie' organisms in the ice lakes below the regolith are waiting for their Martian summer: For an interminably long time! I missed seeing the following MSN video when it first came around a few months ago. 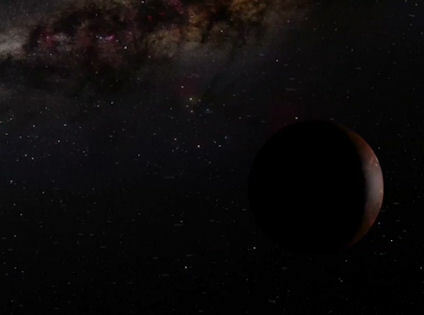 The video picks up upon the news reports from March 2016 about astrophysicist Daniel Whitmire's take on Planet Nine (1). Daniel Whitmire was one of the original proposers of the 'Nemesis' brown/black dwarf back in the 1980s, which was linked to the hypothetical extinction event cycle described at that time (which itself remains highly contentious) (2). According to this video, Whitmire wonders whether the yet-to-be-observed Planet Nine might gate-crash the Kuiper Belt during its perihelion passage, sending comets our way. According to his speculation in March, such a catastrophe would be an extremely rare event, occurring every 27 million years or so, as Planet Nine's tilted orbit gradually rotates around to bring it into contact with the Kuiper Belt. Not quite what the video is implying, really. For more (considered) information on this story, see my Dark Star Blog entry from March this year (3). I really enjoyed the thought-provoking new science fiction film 'Arrival' (1). The British film critic Mark Kermode has put together an excellent review (2), so there's no need to give too much away for those of you who may not have seen it. 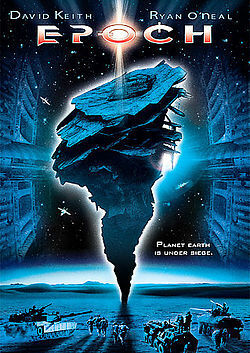 Instead, I wanted to pick up one of the themes of serious first contact movies I've spotted in recent years. As is the case with the mainstream media's general ambivalent attitude towards anything UFO-related (i.e. the darling of the trashy tabloids, anathema to broad-sheets), the occupants of UFOs in serious sci-fi are truly alien. In other words, there is an avoidance of humanoid E.T.s, with two arms, two legs eyes, and so on. Instead, either the E.T.s are barely seen, if at all, or given a bizarre, often foreboding appearance. Aliens in the truest sense. In this particular movie, the alien entities are rather ingeniously put together both in terms of their appearance, and also their powers of communication, the complexities of which steadily build as the film progresses. Remember the classic sci-fi B-movies of the 50s/60s? Aliens were generally humanoid, which reflected (but did not cause) the Contactee-era reports of the human-like denizens of the flying saucers. Then in the 80s/90s, alien movies brought forth the Greys, again stemming from the Abductee reports prevalent during that time. Now, aliens take on a more ethereal image - almost abstraction - perhaps reflecting the post-modern 'so where the heck are they?' sentiment. Of course, this is all very rough and ready, and does not include the 'they've come to eat us' disaster alien movie genre prevalent throughout. Also, it doesn't take into account the capacity for modern CGI to stretch the window of alien potential weirdness. But would aliens really be so weird? I don't think so. Instead, I'm rather of the opinion that the development of biological complexity in the universe would tend towards natural convergence. In the same way that the surface relief of planets takes on relatively recognisable forms, despite differing atmospheric conditions (think Titan or Mars), so too would technologically adept exobiology also evolve towards a recognisable format. Two eyes for depth perception, two ears to discern direction of sounds, opposable digits to enhance tool use, and so on. The basic humanoid format enables multifunctional capacity and manual adaptation that enables the extension of intellectual range beyond basic animal instinct and survival. The basis for that particular biology - although basically carbon and DNA-based to provide the developmental complexity required for intelligence - might be reptilian, mammalian, insectoid, or other. But in order to reach a level where a species could conquer space, it would likely need to have a basically recognisable format. That's not to say that the human form is perfect for space travel - far from it. Our astronauts struggle with the accelerations, the weightlessness, the psychological impact of extended spaceflight. We're clearly not designed for it, and our form needs tweaking considerably to arrive at a viable homo cosmicus. But I'd argue that heptapods are far less viable in this regard, beyond merely creating a sense of otherness for the purposes of science fiction. My friend Mark Keller pointed out to me that 'Arrival' bears a tremendous similarity to movie released 15 years ago called 'Epoch' (3). 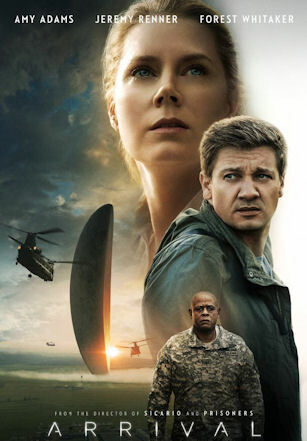 'Arrival' was based upon a short story, written by Ted Chiang, named "Story of your Life" (4), from which many of the conceptual ideas are retained:. This award-winning novella was published in 1998, pre-dating the movie 'Epoch' by three years. But the original story does not include entry by the movie's protagonists into the alien spaceship - a theme common to both films (4,5). I think the general concept of an alien species keeping us at arm's length is probably accurate. The whole UFO reality seems to reflect just such a thing - observation by them, including absolutely minimal interaction or interjection and, on occasion, great fear of getting caught by us. I also very much enjoyed the exploration of the concept of fatalism in 'Arrival'; of choosing a path despite knowing where it'll eventually end up. This seems to ground the movie in the human experiences of mortality and love.